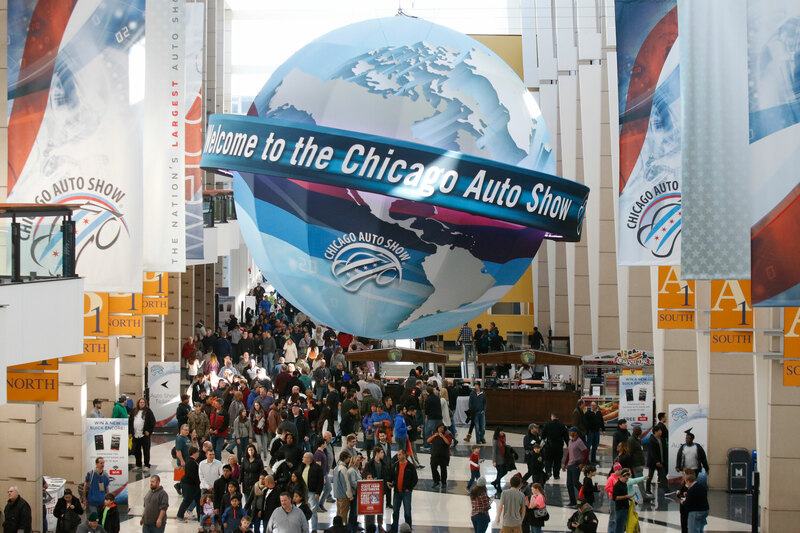 Automotive manufacturers, exhibitors and enthusiasts from across the globe are revving up for the 2019 Chicago Auto Show, and show organizers are giving fans another reason to attend. The Chicago Auto Show will host the first indoor Chicago Friday Night Flights, a craft beer sampling event, on Feb. 15 at McCormick Place. Originally produced in partnership with the Illinois Craft Brewers Guild, Choose Chicago and Chicago Concierge, Chicago Friday Night Flights will feature a dozen local breweries including Alarmist, Arrowhead Ales Brewing Co., Band of Bohemia, Begyle Brewing Company, Brickstone Brewery, BuckleDown Brewing, Eris Brewery & Cider House, Gino’s Brewing Co., Goose Island, Half Acre Brewery, Marz Community Brewing, Metropolitan Brewing, Motor Row Brewery, Revolution Brewing, Rock Bottom Restaurant & Brewery and Temperance Brewing. Tickets can be purchased in advance for $30 and include a tasting pass to sample craft beer from a dozen local breweries as well as full access to the nation’s largest auto show. The nation’s largest and best-attended auto show, held annually at McCormick Place, opens to the public Saturday, Feb. 9 and runs through Presidents Day on Monday, Feb. 18. The show is open 10 a.m. to 10 p.m. each day, except for the final day of the show, when it closes at 8 p.m. The Chicago Auto Show features more than 1 million square feet of exhibit space showcasing brand-new vehicle introductions and a complete range of domestic and imported passenger cars, trucks, sport-utility vehicles, minivans and concept cars. In all, nearly 1,000 different vehicles will be on display including hundreds of interactive, aftermarket, accessory and auto-related exhibits, competition vehicles, antique and collector cars. For more information on Chicago Friday Night Flights and to purchase an event ticket, visit: https://cfnf.chicagoconcierge.com/. For more information on the 2019 Chicago Auto Show, please visit www.ChicagoAutoShow.com, or watch this promotional video.